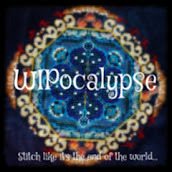 I have decided to make the WIPocalypse posts as a summary about all what I did in the month and what is presented in other posts with more detail. 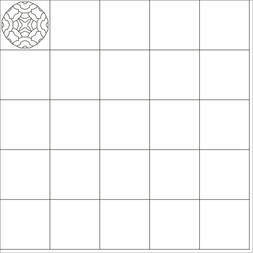 But I think it is a good idea putting all together, you can enjoy them and I can keep track about my advances. 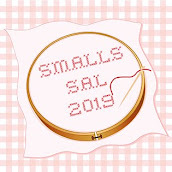 I will also publish the list of the projects I am planning to do in the year with the updates. 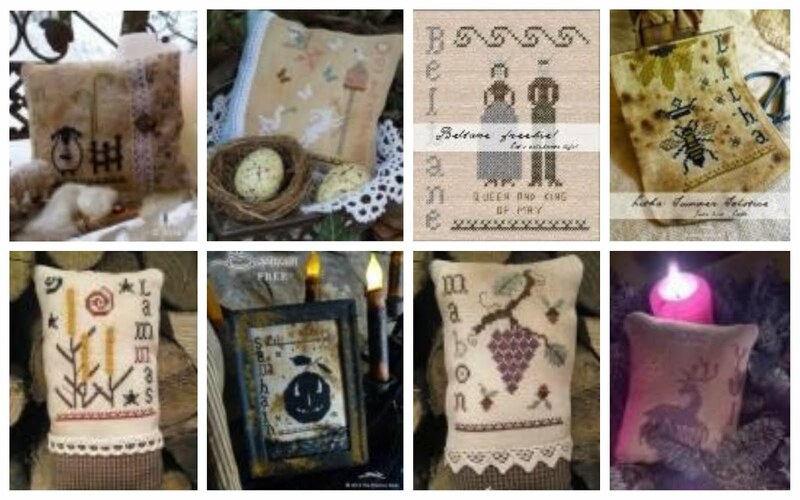 I am going to start three new project, brown in the list, organized by the blog Magical’s Quilts and More…..Two of them consist in stitching a smal FOB and an ornament every month and the Mystery one is that, a mystery……. Let’s go to the important things, the advances. 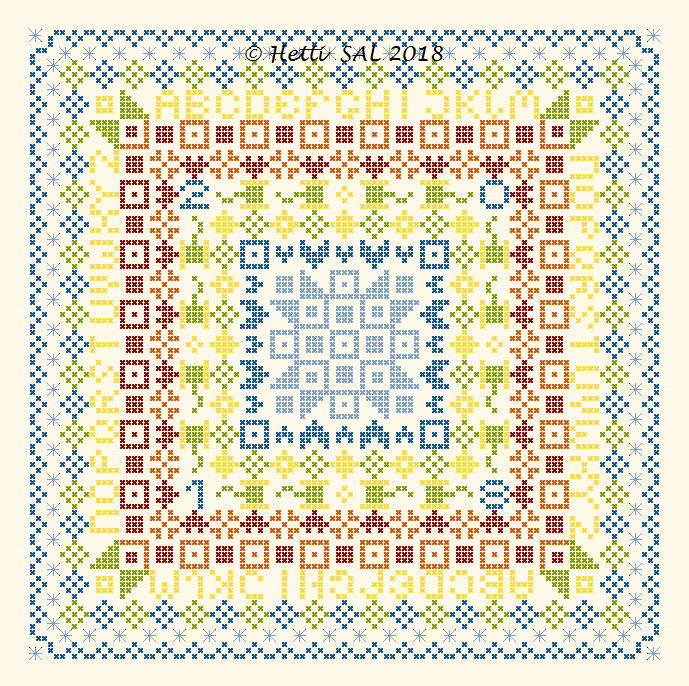 I finished the sachet corresponding to February which I am presenting in the Small SAL 2018. 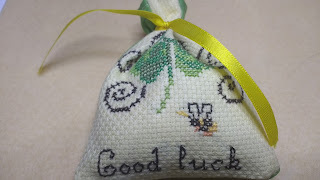 It is a lovely yellow sachet with a 4 leaves clover for good luck. It has green fabric in the back and a green ribbon. Continuing with small projects, I discovered the FOB and ornament of the month, organized by the blog Magical’s Quilt and More….. 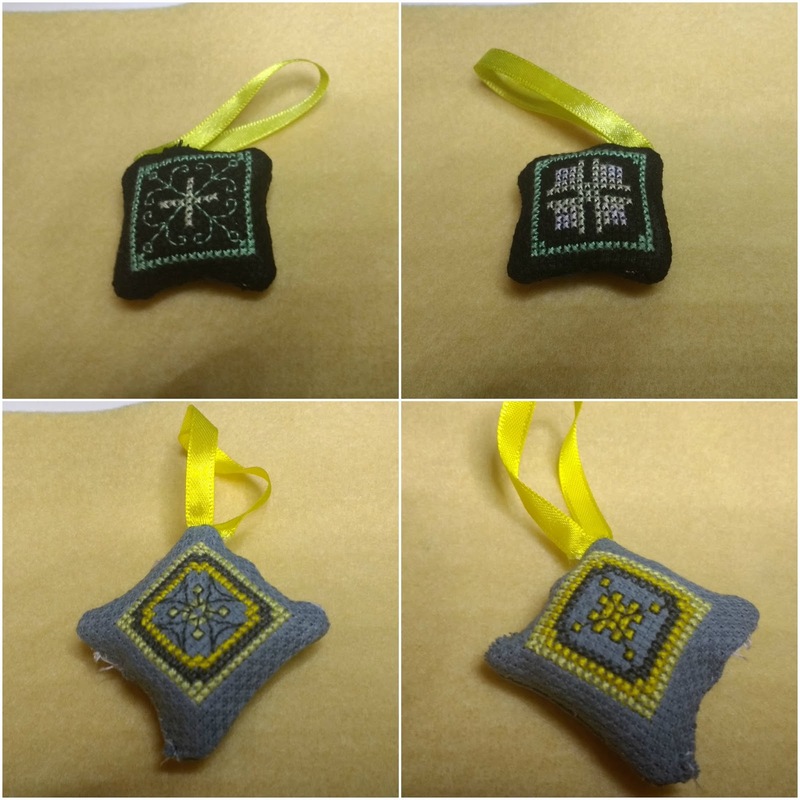 They publish a FOB and an ornament freebie pattern each month. I stitched the two first FOBs and the first ornament. 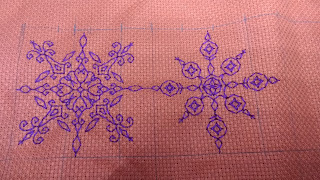 I will catch up soon with the ornament. 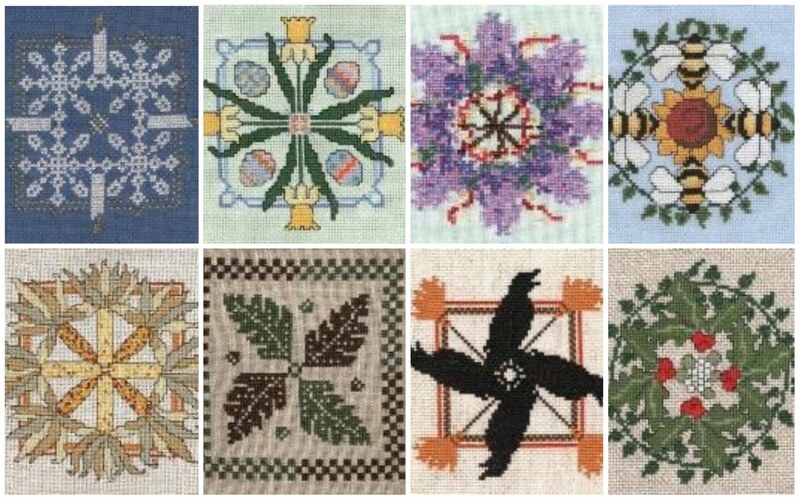 For the Gift Gorgeousness 2018 (GG2018), as we should participate with something containing the wprld ‘Gift’ I am doing the design A Year of Flowers designed by Cuore e Batticuore. 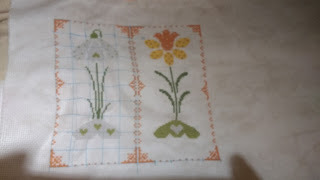 I am stitching a flower per month which is representative of that particular month. 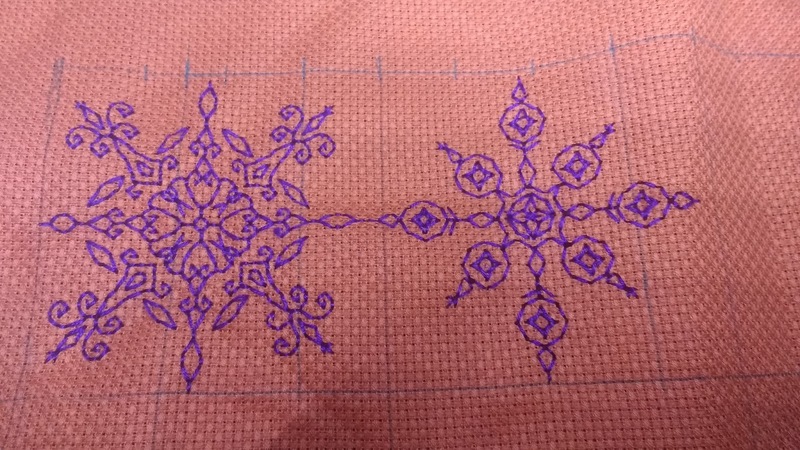 I did snowdrop for January and a daffodil for February. 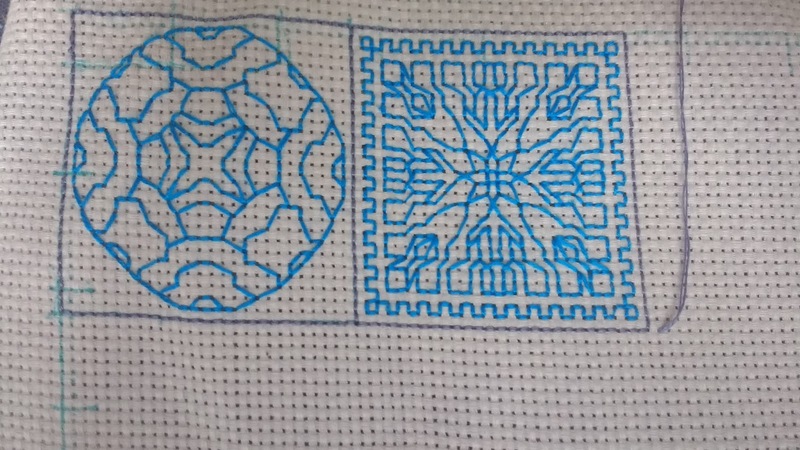 In February, I started two new projects. I had one of them in mind but the other it was simply that I couldn’t resist myself when I saw it. 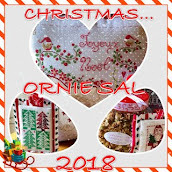 The first one is for the Christmas Ornie SAL. I chose a 12 Days of Christmas design in owl version, Hooties 12 Days of Christmas. 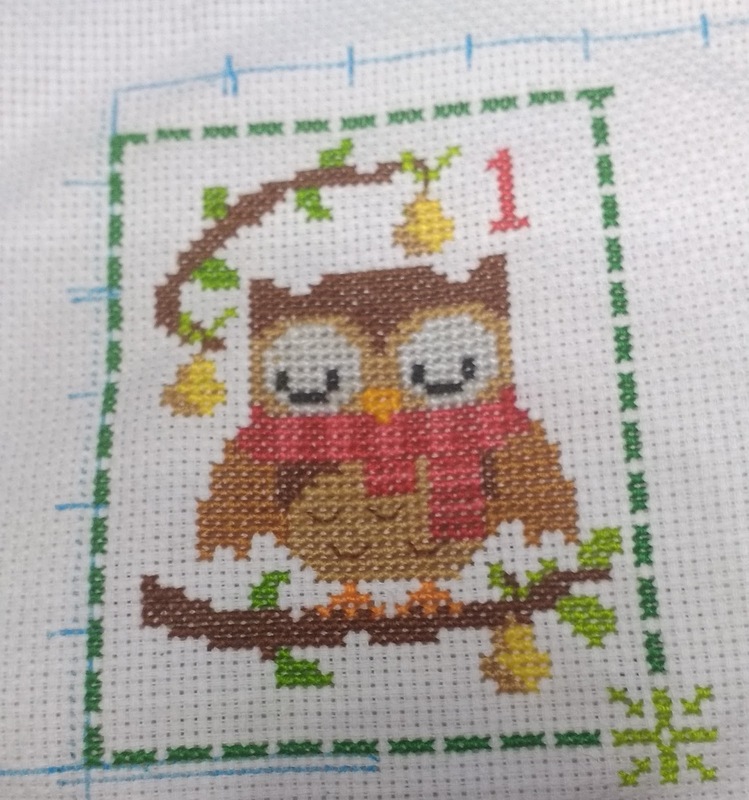 I finished the first owl, the partridge on a pear tree. 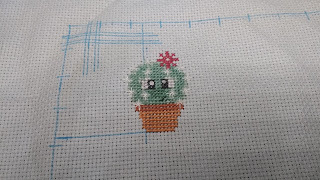 The other project I mentioned it is called Prickly But Cute and it is a design I saw in Etsy by FuzzyFoxDesigns. 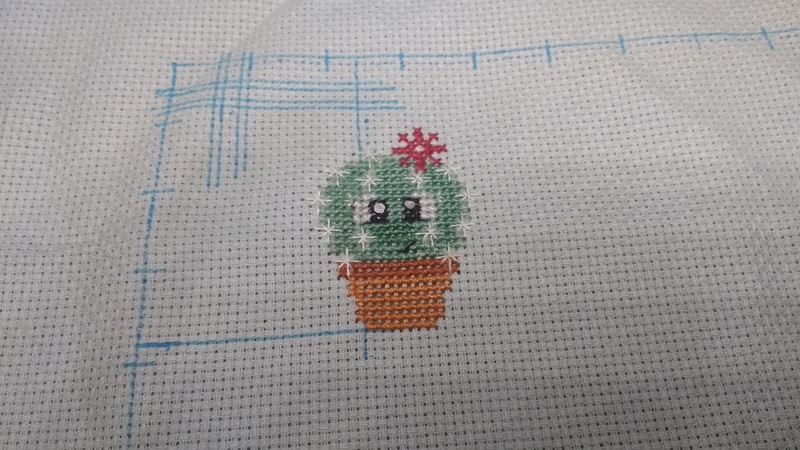 Each part isa different cactus and they are all of them very easy to do and, as the name says, they are really cute. They all have name, the first one is called Astrid the Cactus. 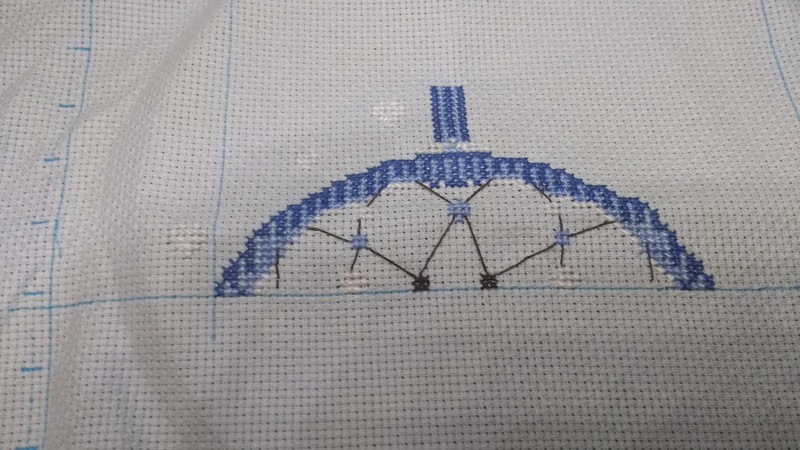 To finish with the advances I did this month I need to introduce you my dreamcatcher. 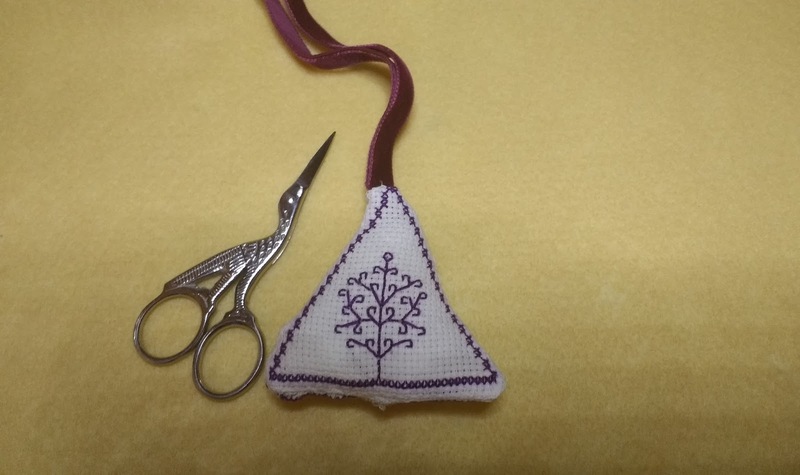 It is a a design made by the Joeuses Petites Croix. and I am doing it in 3 parts. 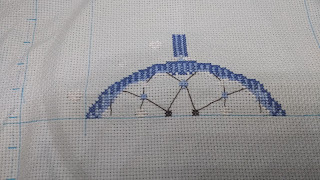 Starting from the top, I finished my first part, there are some words in the pattern to stitch but I don’t know if I will do them or not, I will decide at the end when all the dreamcatcher is over. The question of the month is about my favourite gadget . There is nothing like that, nothing I can call my favourite gadget as I like plenty af them. 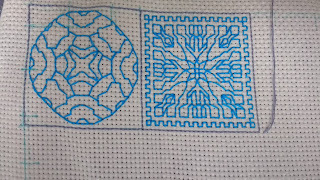 But if I need to mention something I like more I should say scisors. I have few of them and I like to collect them. That is all for this month. I hope to keep advancing at least as I did in February, if not more, in the month of March.